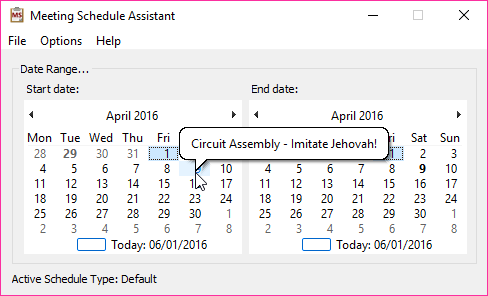 I am pleased to announce that there is a new version of Meeting Schedule Assistant available. This edition has some refinements to both editors. 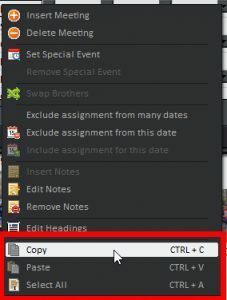 A new drop-down list has been added to the bottom right of the Midweek Editor. 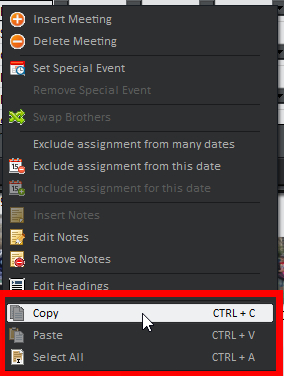 It is only enabled when you are in the slips view mode and the Current Week option is checked. 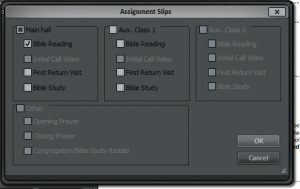 The default setting is All which means that all of the assignment slips are displayed in the editor. The choices that are displayed on this window will change from week to week. You can select each item that you want included. 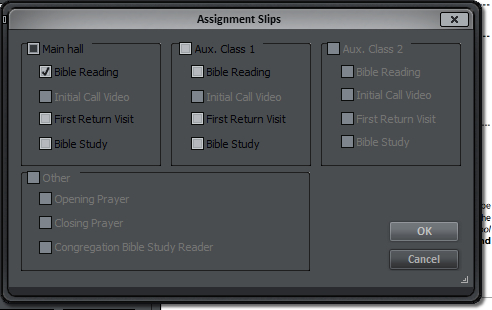 In addition, you can use the check boxes at the top to quickly select / deselect all items for a given class. 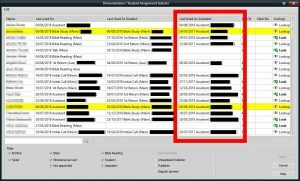 Use this feature when you have already issued the slips and are now making some re-adjustments and only need to print one or two. 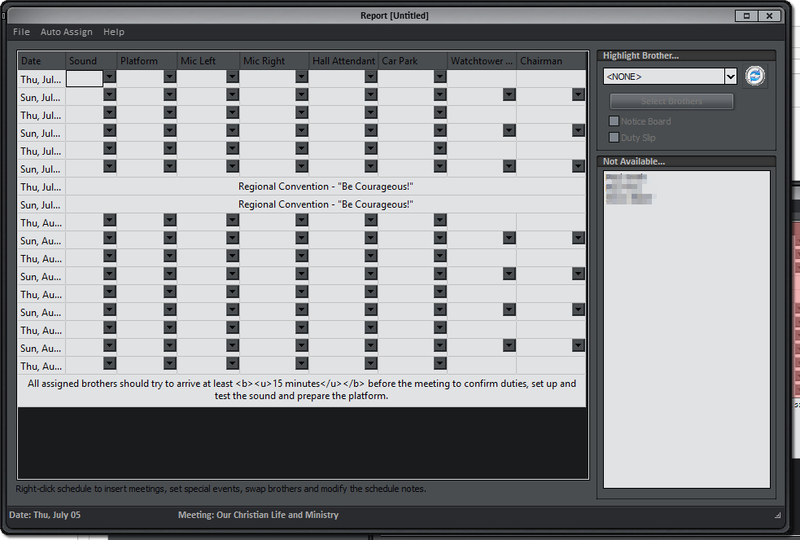 As a result, some of the controls have been moved over to the right to make better use of the space available. 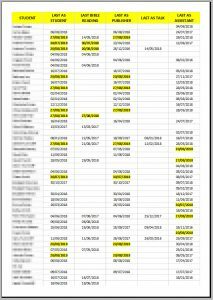 This comes in useful if you are making manual adjustments to the schedule. It is your responsibility to ensure the validity of any pasted information. I send you script in italian. Thanks! I updated the download page for the script. 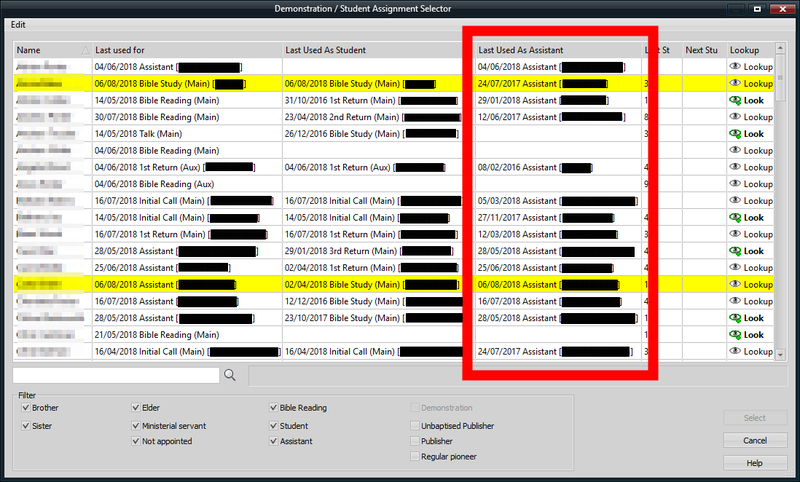 I have just updated the ZIp file for the “Custom Student Report”. 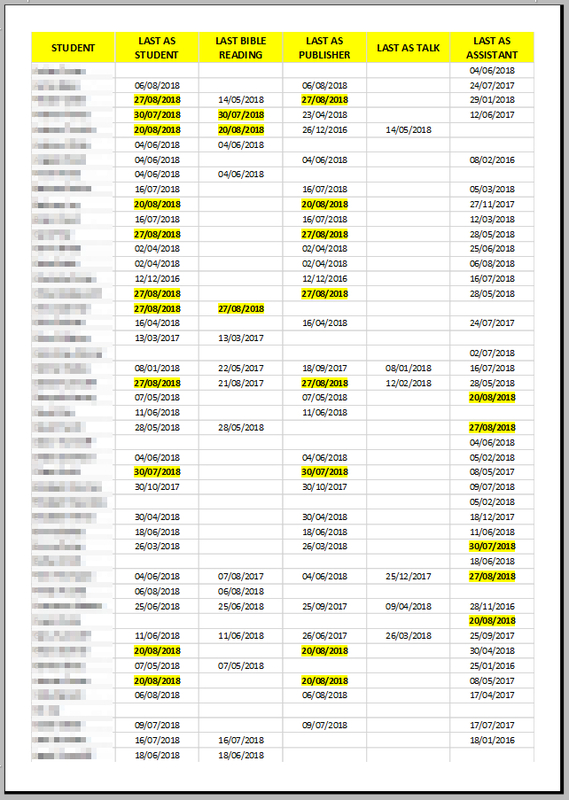 It was not indicating “future dates” correctly. Please re-download the ZIP if required.